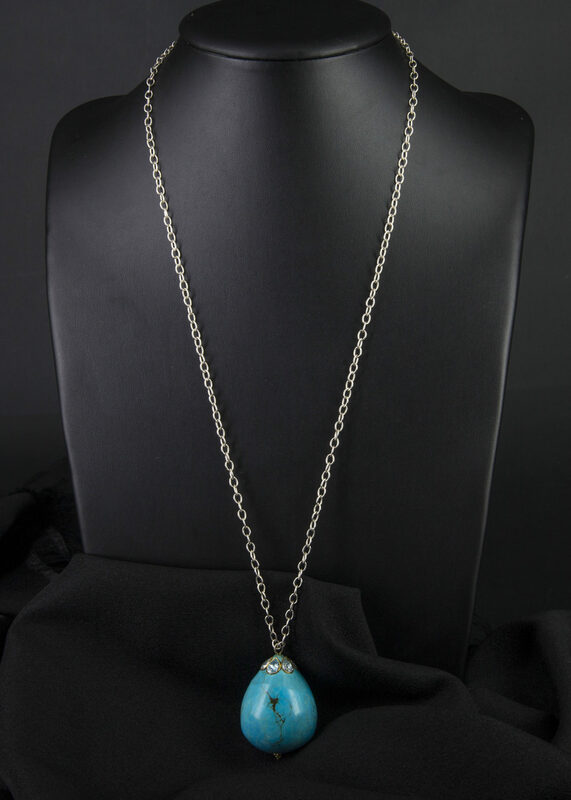 A simple, elegant large turquoise (three dimensional) drop, kundun set with a cluster of 6 blue topaz pears clustered at the top of the drop and set in 22 carat yellow gold and hung on a sterling silver chain. The chain can be replaced with an 18 carat gold chain at any time. A very striking and simple classic pendant with a twist.